Double Time Zone, Big Date, Flying Tourbillon, 10-Day Power Reserve and a convertible case...a cornucopia of functions and artistic prowess. 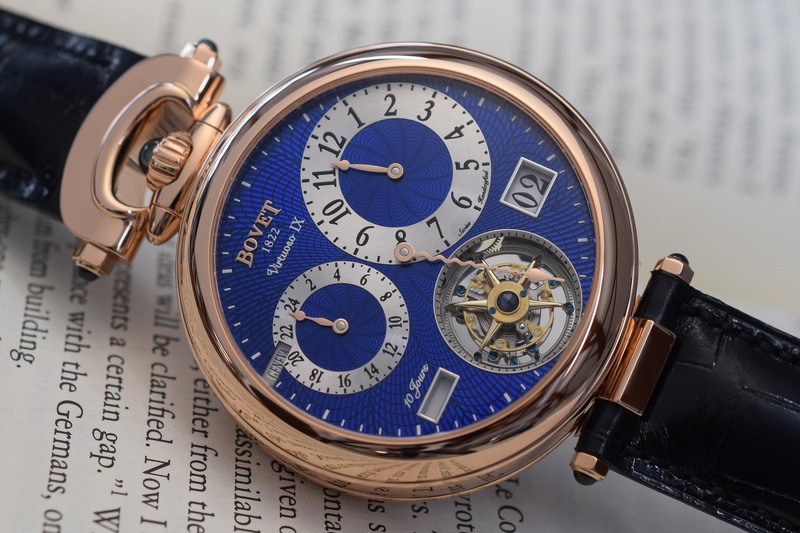 Bovet, very much a niche connoisseur brand, is finally attracting the attention it merits. 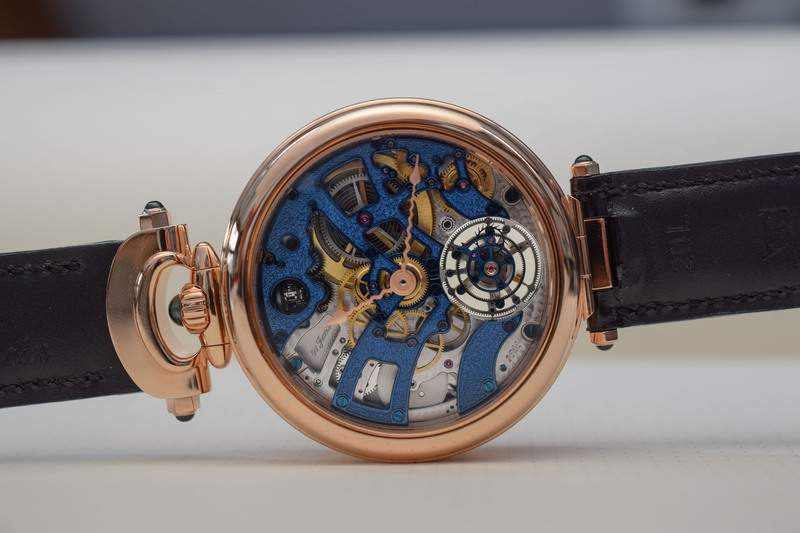 Last year, its Récital 22 Grand Récital, a masterpiece of technical and astronomical complications, won the coveted Aiguille d’Or at the GPHG 2018. 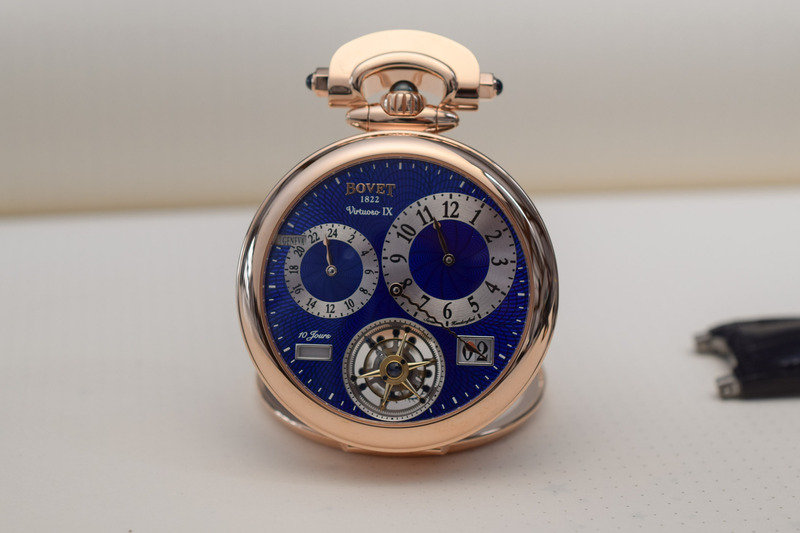 Making its debut at the SIHH 2019, Bovet will be wowing the crowds with its Virtuoso IX, a double time zone, 24-city, 10-day power reserve, big date, two reversible faces and flying tourbillon extravaganza equipped with a brand new in-house calibre and housed in the brand’s iconic convertible Amadeo® case! 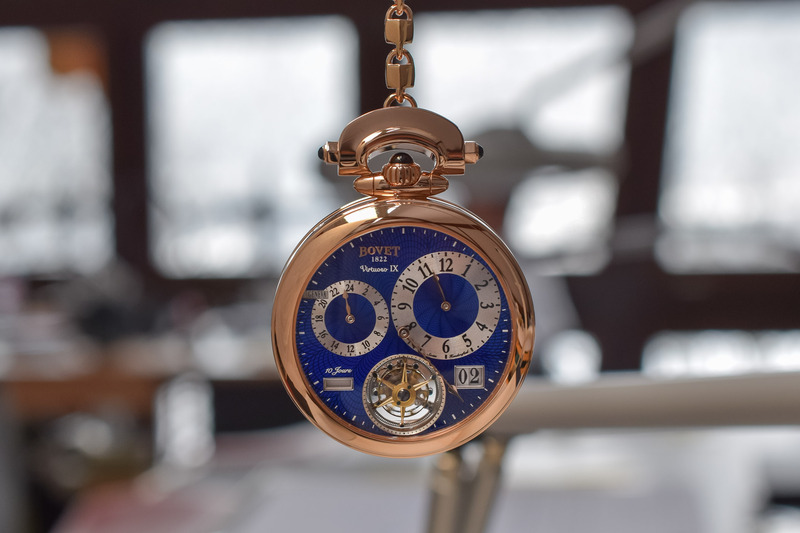 As its name implies, the Virtuoso Collection is a showcase for Bovet’s prodigious mechanics and exquisite artistic approach to timepieces. Matching the convertible modality of the Amadeo® case system, the family of elite Virtuoso watches feature reversible dials, like the one we’ve seen on the Virtuoso V Jumping Hours. 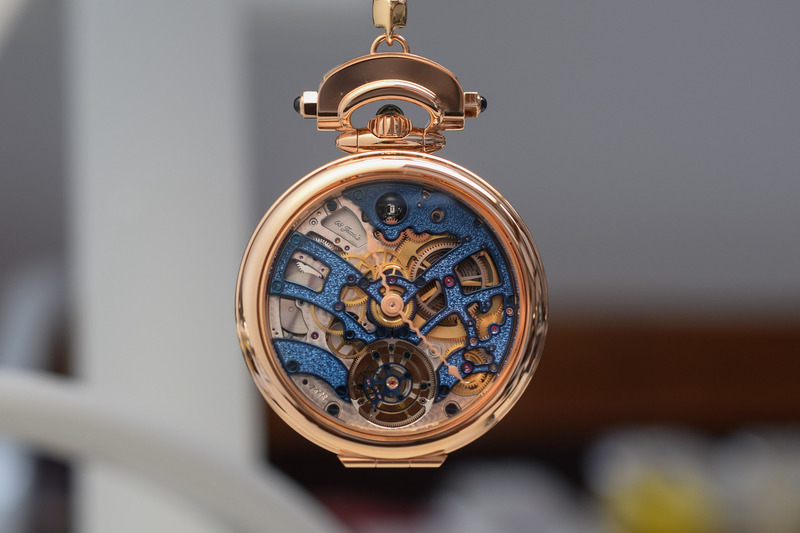 The patented Amadeo® convertible case is one of the most ingenious designs in the watch industry allowing you to transform the wristwatch into a pocket watch and a table clock as well as flipping over the dial to reveal the reverse side, without the need for any tools. The 18k red gold (also available in white gold and platinum) case measures 46.30mm and has a height of 16mm. A new mechanism has been incorporated in the case of the Virtuoso IX which opens the caseback by simply applying pressure to the crown. 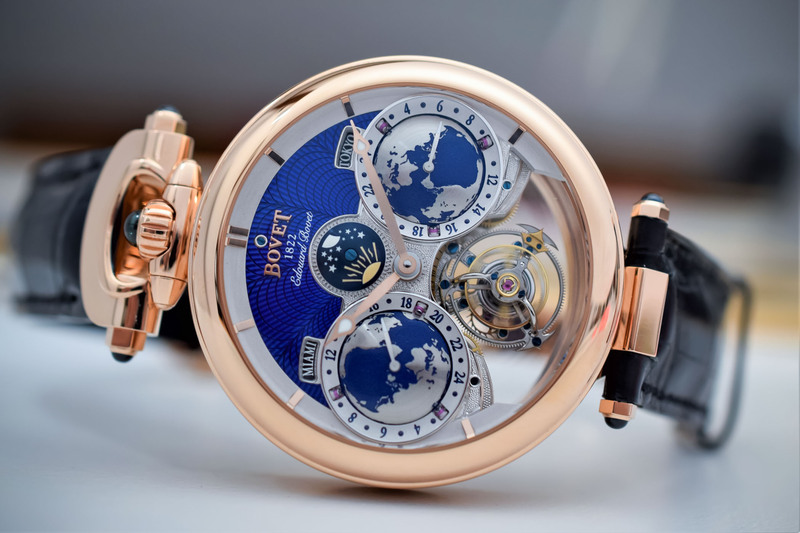 Bovet tends to discard conventional symmetrical dial layouts, and the only feature that is actually centred on the dial of the Virtuoso IX is the squiggly gold minute hand. The hours are displayed in the largest counter at 2 o’clock and the second time zone is displayed in a smaller 24-hour counter placed at 10 o’clock. A small rectangular aperture at around 22h displays the name of the corresponding second time zone city. The two correctors on the side of the case are for adjusting and selecting a particular time zone and take into account the differences between daylight savings time and standard time. Both the local time and second time zone share the minute hand. Just below the 12-hour counter is a big date window counterbalanced on the left side by a rectangular power reserve indicator to gauge how much of the 10-day power supply remains. 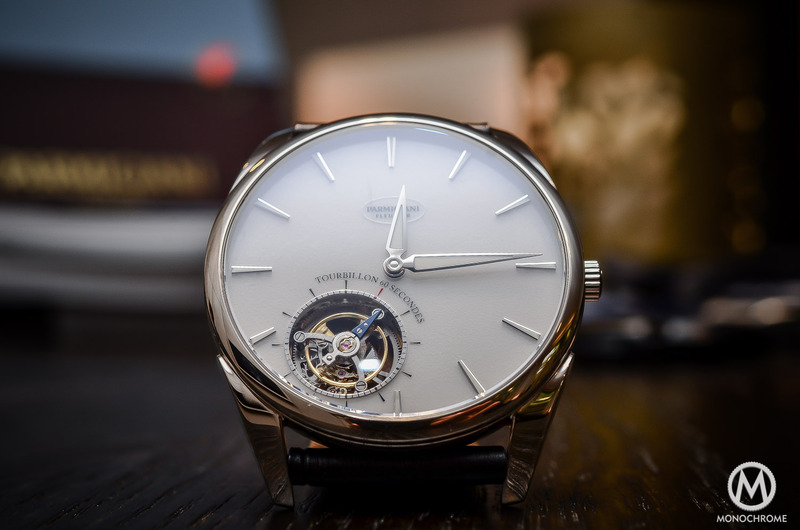 Completing its 60-second revolutions, the flying tourbillon occupies a position at 6 o’clock and is openworked allowing light from the reverse side to flood through its aperture. 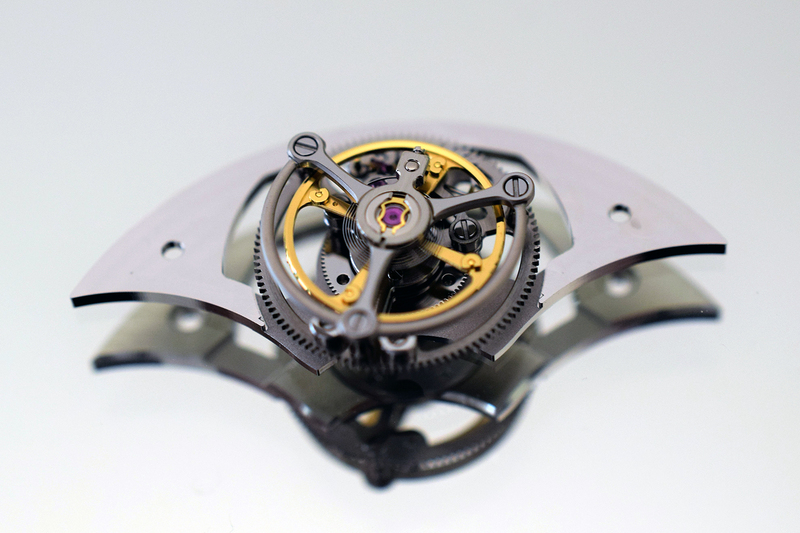 The bridge carriage in the centre of the tourbillon is set with a faceted sapphire to match the colour scheme of the dial. 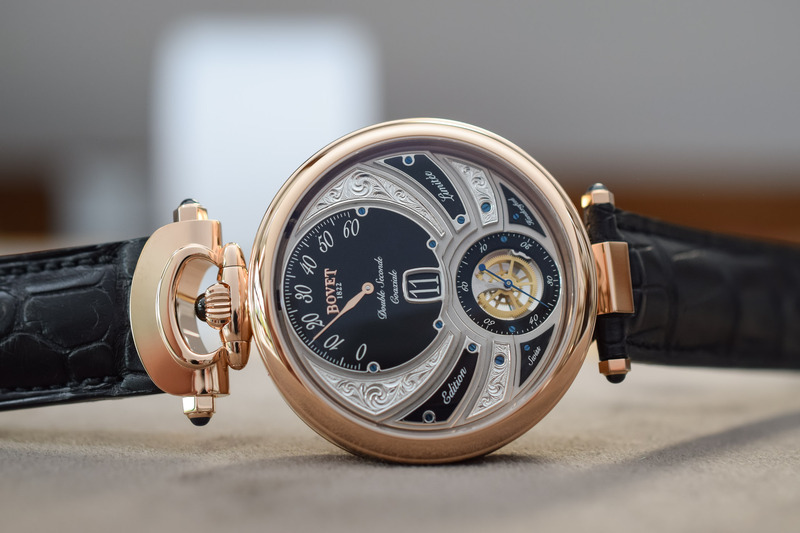 The two faces of the Virtuoso IX display decorative motifs and techniques inspired by some of the brand’s early pocket watches. Decorated with an elegant hand-guilloché fan motif on the base, the dial is treated to flinqué enamelling using eight layers of translucent lacquer. 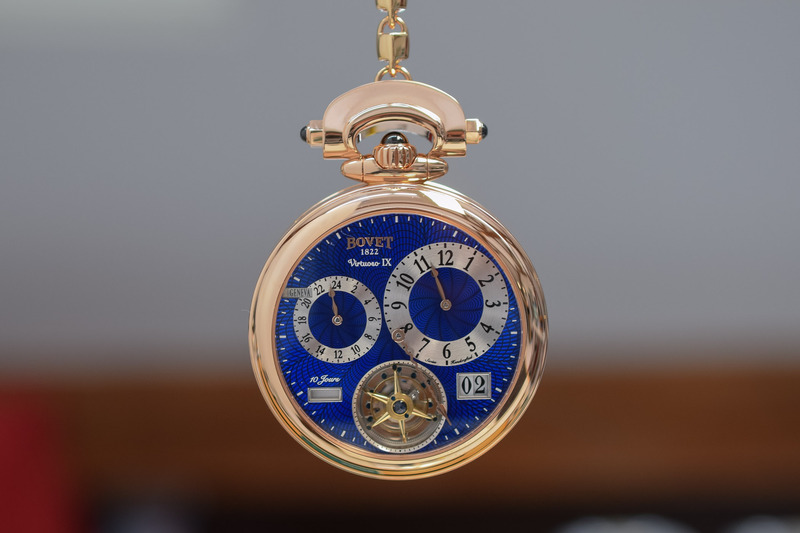 The intense blue tone and swirling motifs of the pattern on the dial evoke the richness of Bovet’s 19th century enamelled pocket watches. 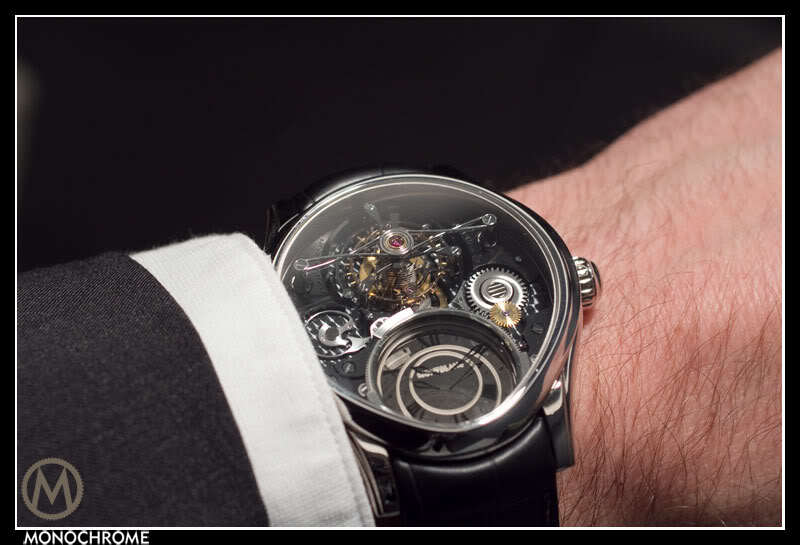 The reverse side reveals a network of bridges and features central hour and minutes hands over the movement and another view of the flying tourbillon. 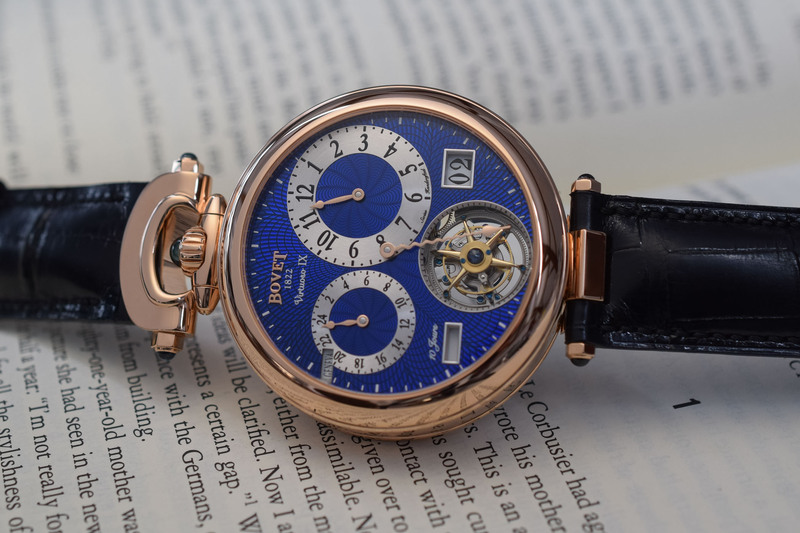 Designed to evoke the architecture of the bridges of 19th century Bovet movements, the surfaces of the bridges are engraved with a sparkling blue bris de verre motif. 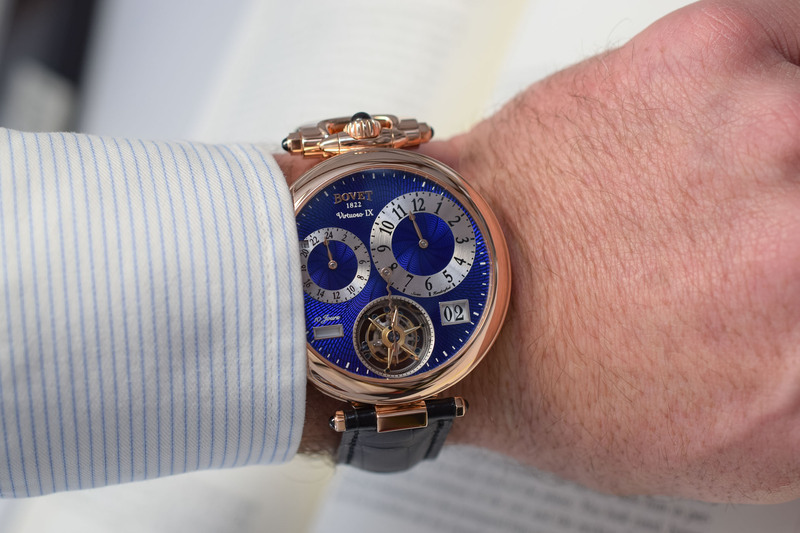 The Virtuoso IX is fitted with the in-house hand-wound calibre 17BM04-DFR and features Bovet’s patented spherical differential winding system, which can be seen in a circular aperture at 12 o’clock on the reverse side of the dial. With its ingenious system that halves the number of turns of the crown to fully wind the timepiece without increasing the torque, the differential spherical system is capable of generating ten days of power reserve from a single barrel. The double face flying tourbillon – also patented – ensures chronometric precision and the balance spring is made entirely in-house in the brand’s Dimier manufacture. The Virtuoso IX will be available in red gold, white gold and platinum and comes on an alligator strap with a red or white gold ardillon buckle and a red or white gold chain (for the pocket watch mode). Price to be confirmed. 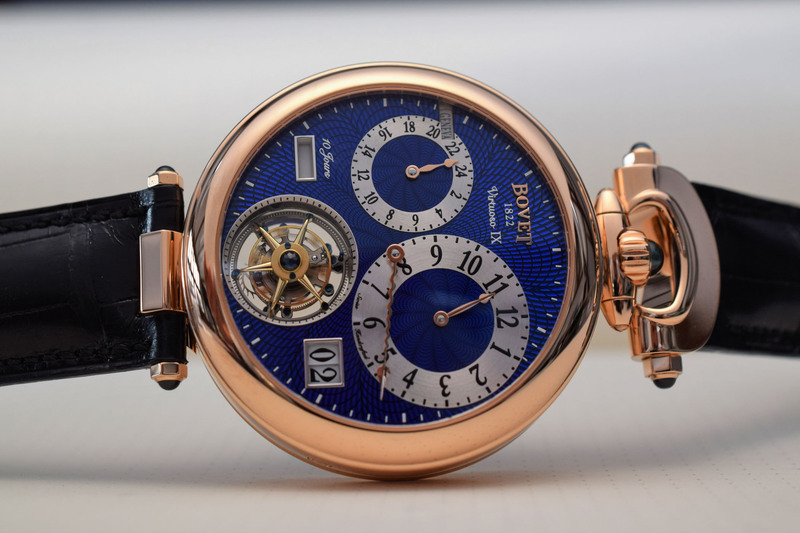 For more information, please consult the official Bovet webpage www.bovet.com.